Google celebrating Shakuntala Devi's 84th Birthday today on '4th November 2013' through a beautiful dedicated Google Doodle. Shakuntala Devi was popularly known as Human Computer. This is the first Birthday Google celebrating after her death on 21st April 2013. 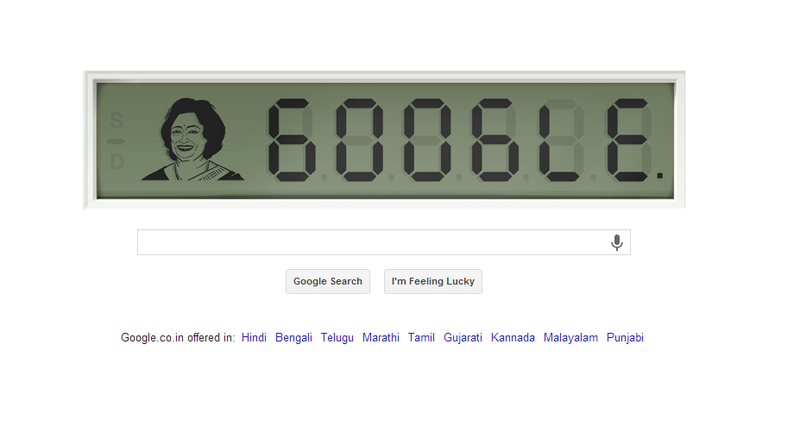 Read about Shakuntala Devi here.